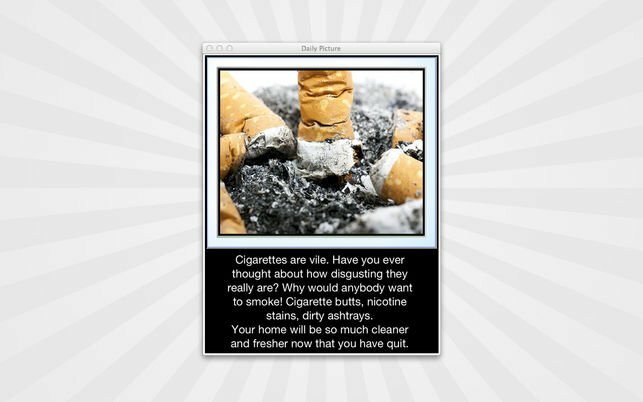 If you have tried to quit smoking on your own, then you probably know how difficult that can be. There are cravings to fight, withdrawal symptoms to deal with and all sorts of struggles with your health as your body recuperates. 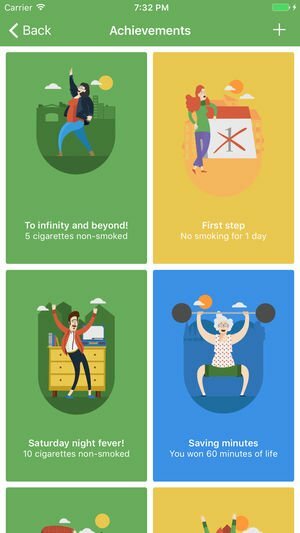 And while there are plenty of ways to fight all those side effects of quitting, none are more convenient than apps that give you the support and guidance to quit smoking. 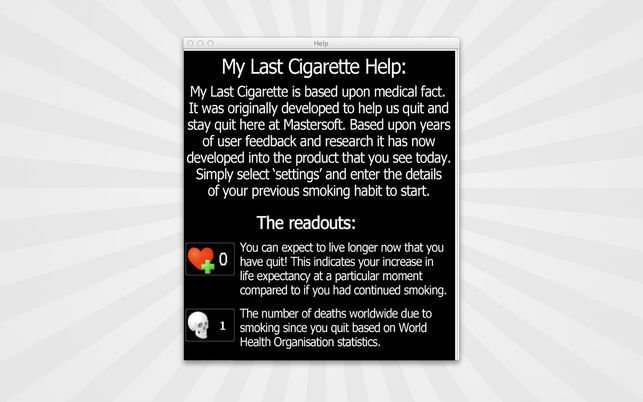 These connect you to industry experts and those who have quit before, giving you expert advice on the best ways to quit. This personalized quitting coach program can be customized to fit the way you want to quit. 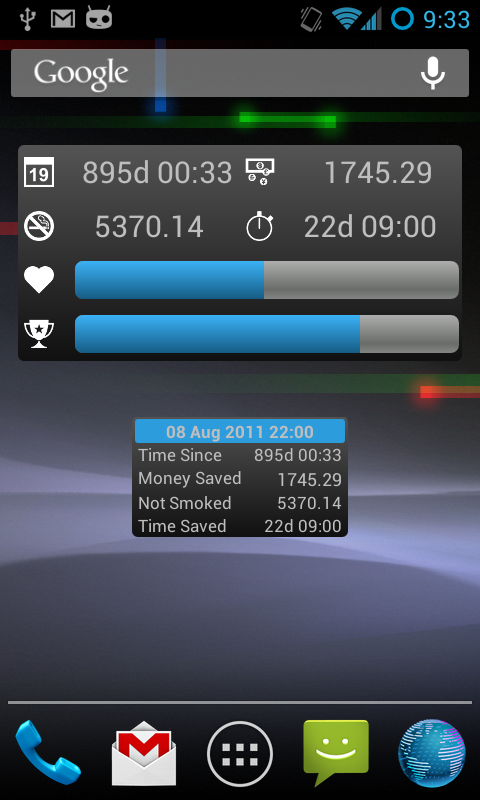 You can either quit cold turkey or just cut back on your nicotine intake a little each day. However you want to do it, this coaching program will help you out and tailor the schedule to fit you. It is great for people who are not able to find a quitting program that suits their lifestyle. 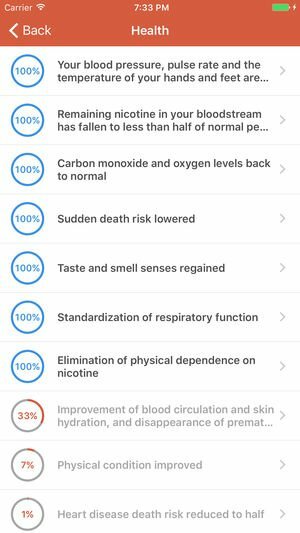 And the app is physician approved, ensuring you know that you can trust its advice since it has worked for others before. 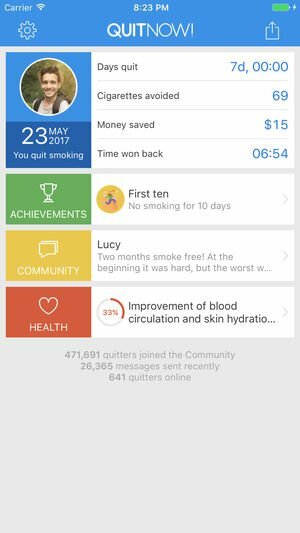 This app has been around for a while, and it still manages to be one of the best ways for people to quit, gaining popularity even as new apps hit the market. 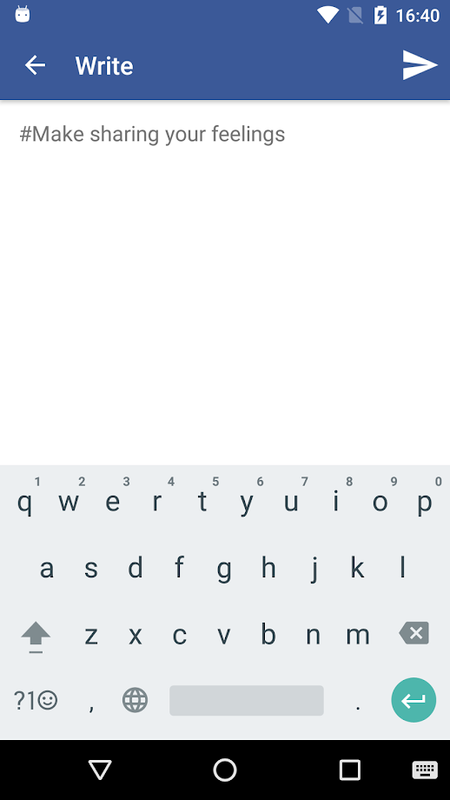 This one will actually cost you $0.99, but it can be worth it for the help it provides. 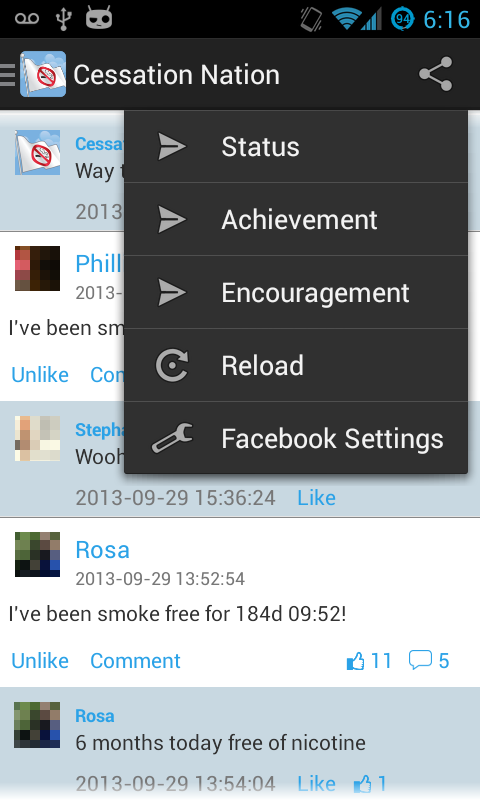 The app gives you daily motivational messages, helping you to be inspired to quit. 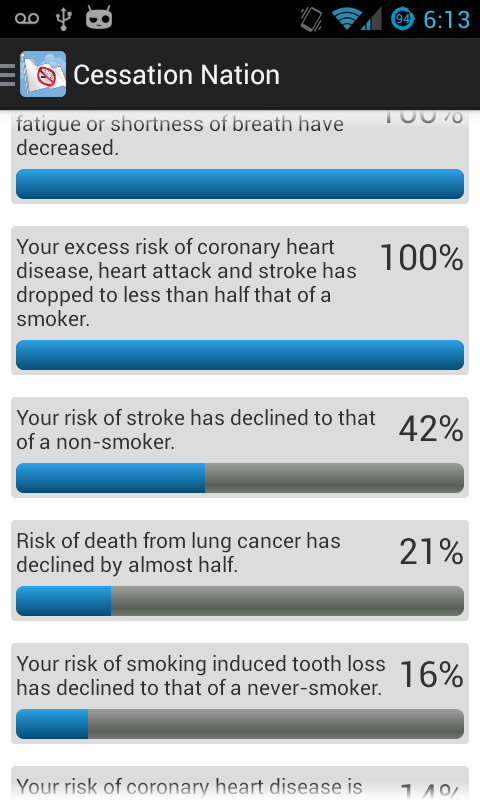 And it provides medical facts about smoking, quitting smoking and the difference you are making by choosing healthy options. It is a great way for people to find their inspiration and become motivated little by little to quit once and for all. 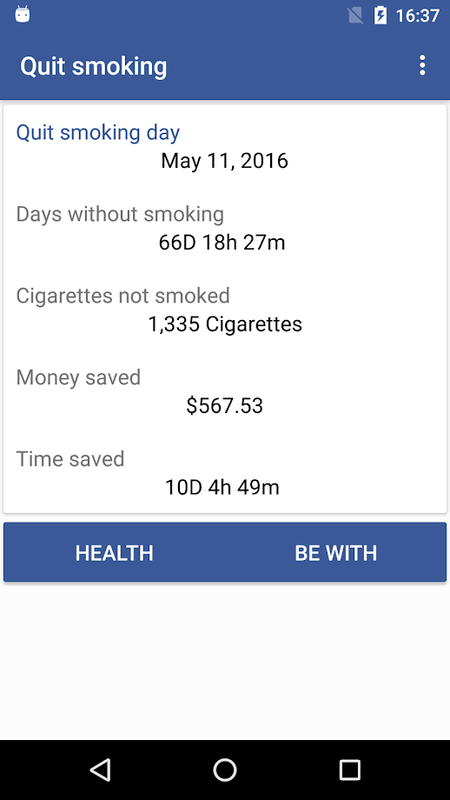 For those who need some support as they try to quit, this app is just perfect. It connects you not only to experts on quitting who provide wisdom and emotional support, but it also puts you in touch with other people who are going through the same process as you. 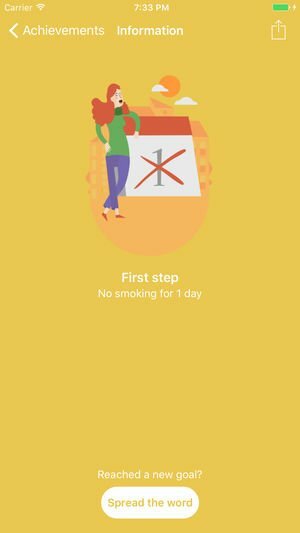 This innovative virtual village allows you to talk to others who are trying to quit and see what is working for them and what struggles they are experiencing. If you think you are alone in your fight against addiction, just know that you don’t have to be. 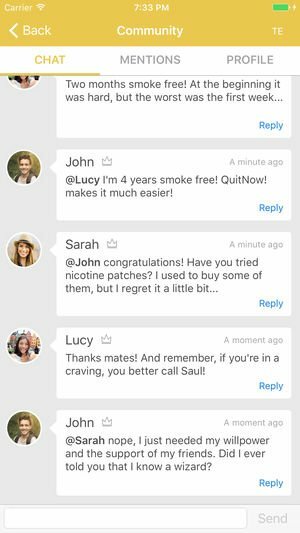 This app makes it possible to find others who share your affliction and want to help you quit as much as they want to quit themselves. 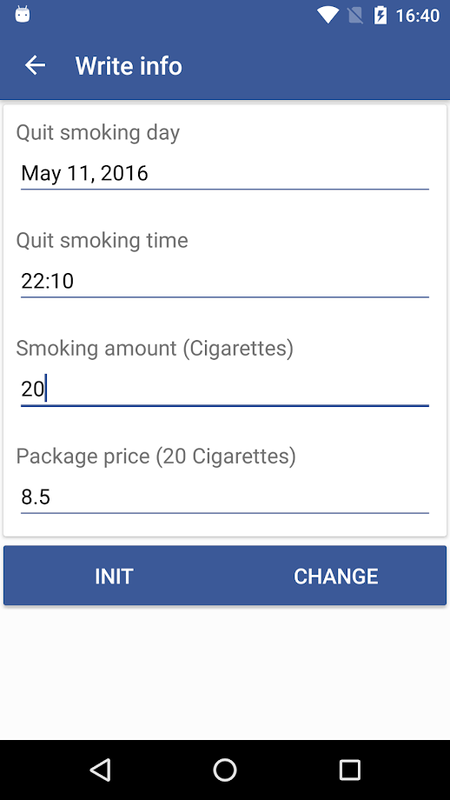 This app gives you detailed statistical information about how your quitting is progressing. It lets you know day by day how your body is healing, how toxins are emptying from your system and how your progress is coming. 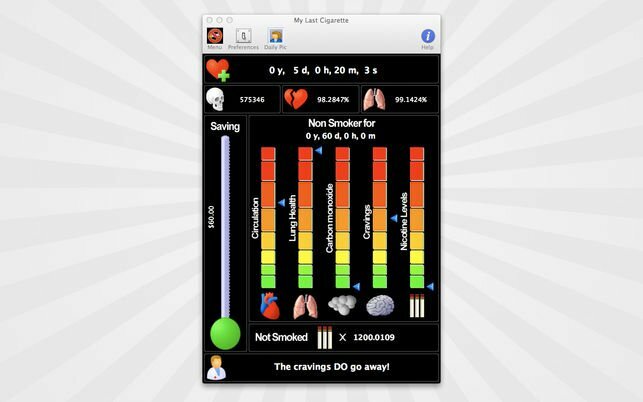 You input your smoking data for each day, and the app automatically calculates what is going on inside your body. 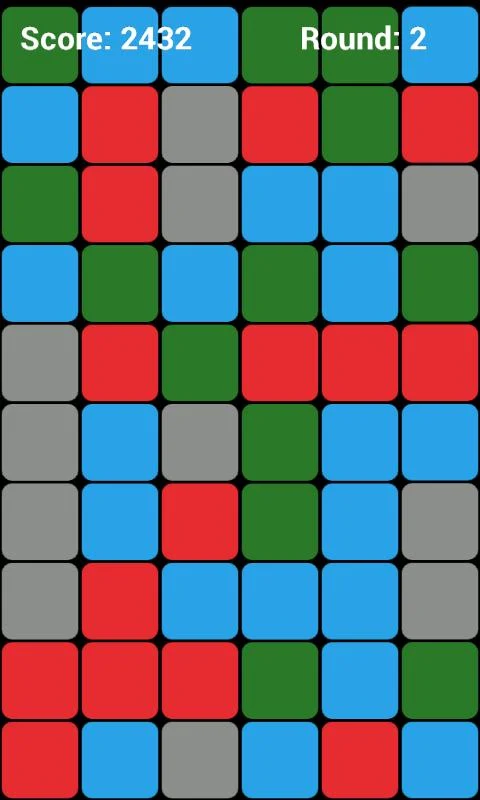 It offers a unique look at your situation and allows you to be motivated as you see how well you are doing. 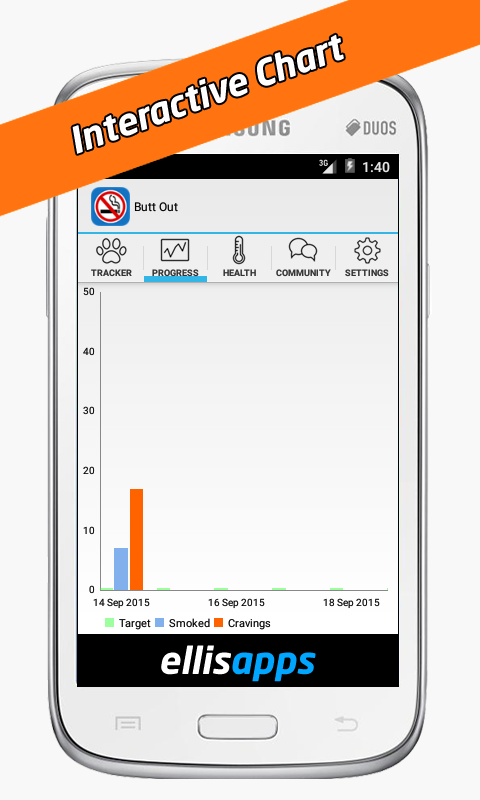 This app focuses on the practical side of quitting smoking. 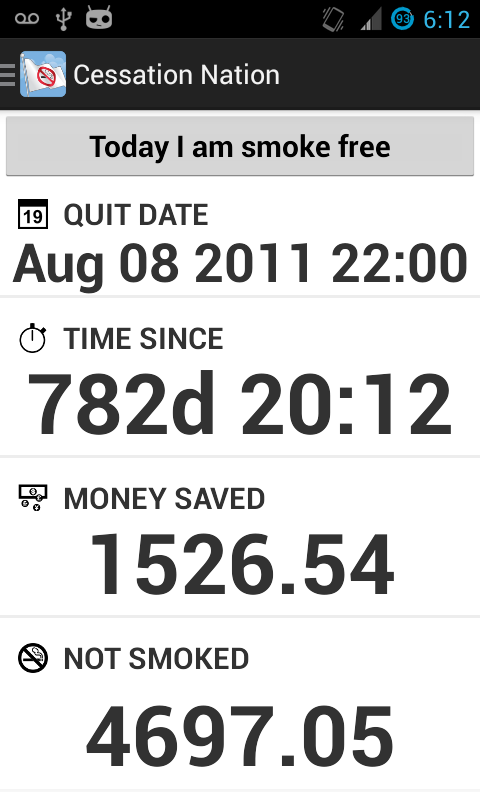 Each day it will tally how much you smoked and then give you facts and figures based on the information you provided. 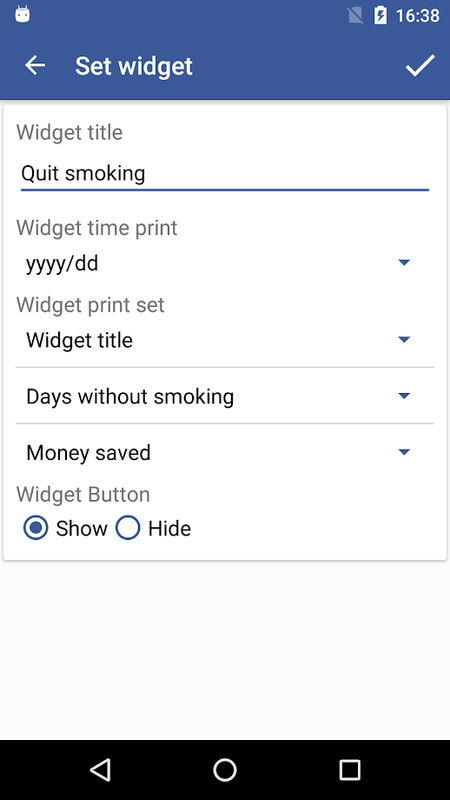 The app tells you how many cigarettes you did not smoke and how much your savings were for the day. 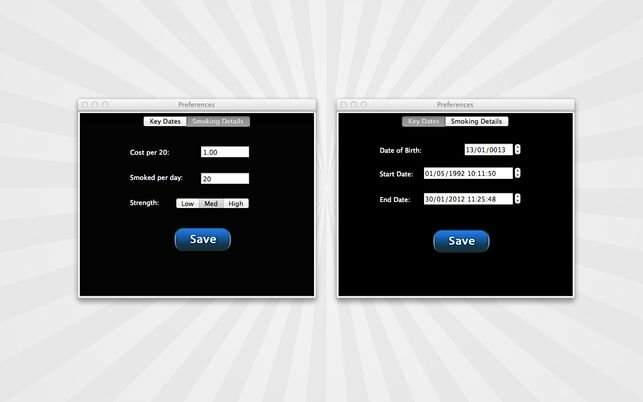 It offers benefits over time, allowing you to see how much money you have saved since you started to quit. 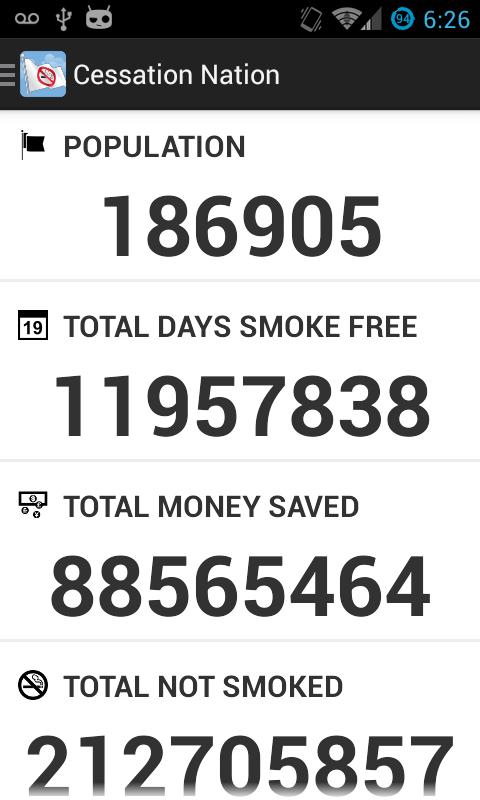 This can be a great motivation to people who are worried about how their smoking affects their finances. They can be inspired to stay away from cigarettes if they see how much they were spending on them. 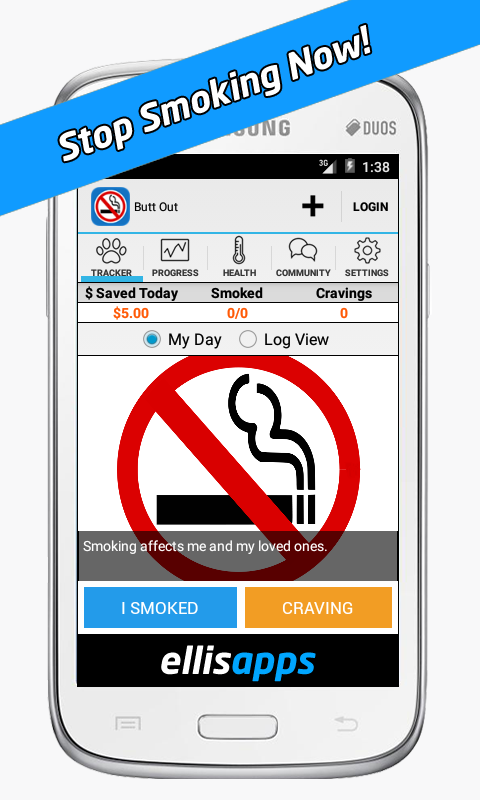 This app helps you overcome the feelings of worry and anxiety that often accompany quitting smoking. 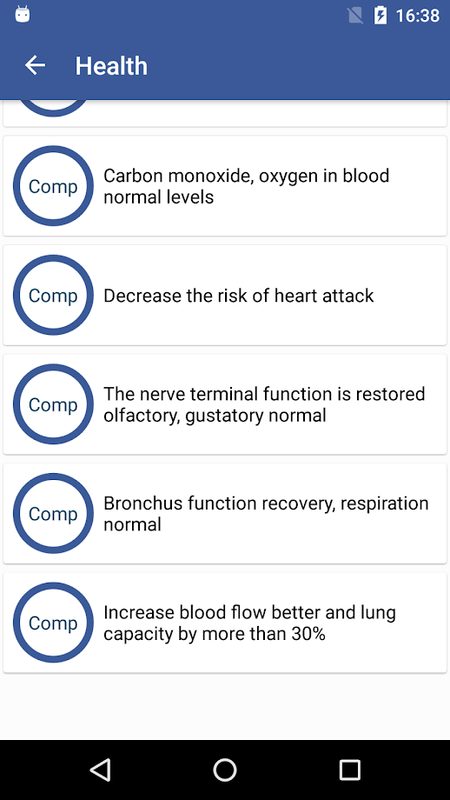 If you are struggling to ward of cravings and are having a hard time dealing with withdrawal symptoms, the app provides methods of coping with this stress. It’s great for people who feel overwhelmed by their emotions and their addiction and who just need some help to get past the roughest parts. And you can also find support from experts and people who are trying to quit as well with the social aspects of the app. 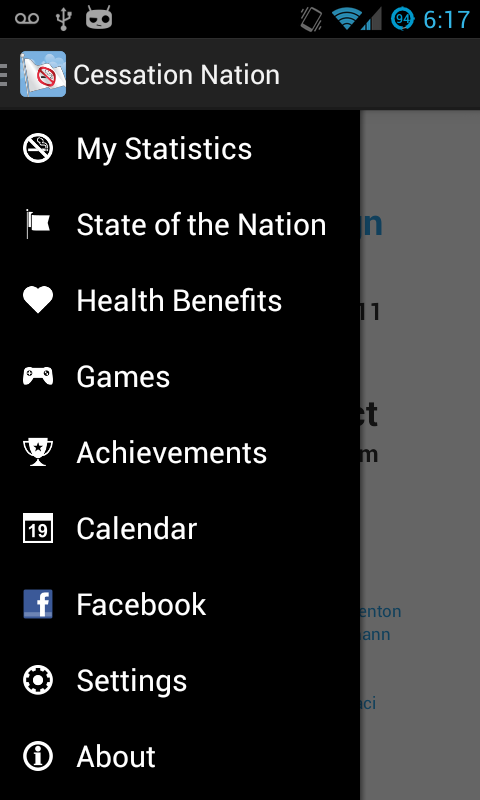 It actually connects to a lot of social media sites like Twitter and Facebook as well to allow you to show off your progress to those you care about. 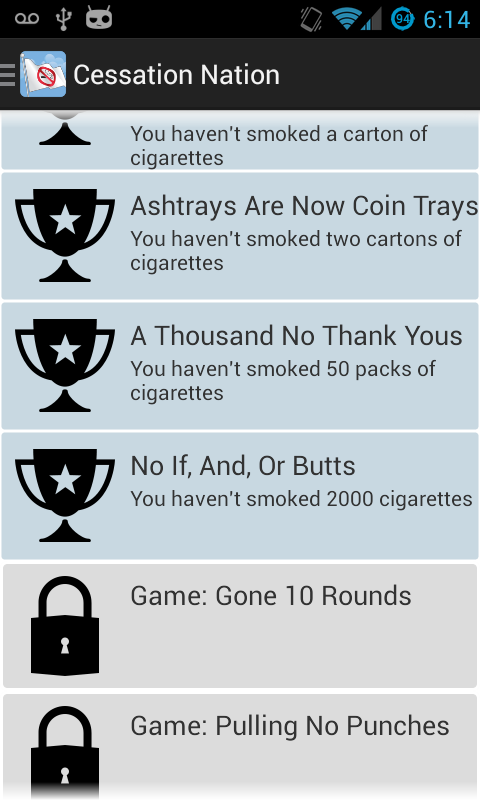 how about a app for the people that don’t smoke but would like a smoke break like the smokers get. 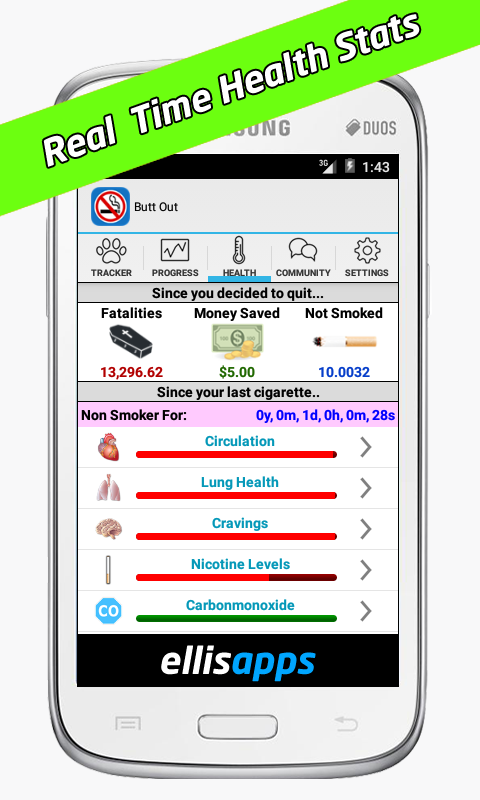 Start the app and it lights the cigarette, and burns the same rate as a cigarette. You would get the same amount of breaks as a smoker does.